October 18, 2018 2:00 pm. Sir Charles Road will run in the Coongy Cup at Caulfield as a lead-in to the Melbourne Cup. New Zealand stayer Charles Road will continue his Melbourne Cup campaign in a Group Three race while many other contenders run in the Caulfield Cup. The winner of the Chairman’s Quality at Randwick before his third in the Sydney Cup in the autumn, Sir Charles Road will run in Saturday’s Group Three Coongy Cup (2000m). 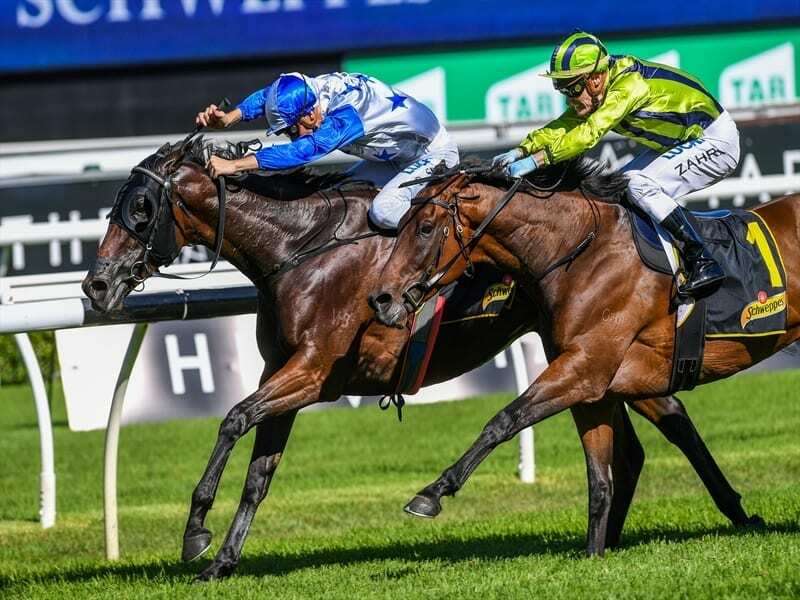 Co-trainer Lance O’Sullivan arrived in Melbourne on Thursday and was pleased with the horse’s progress since his fourth in the MRC Foundation Cup behind Caulfield Cup contender Night’s Watch on September 22. He had a slight temperature after that race but O’Sullivan said he had recovered. “It was his first run in three weeks and he had travelled to Melbourne so we were really happy with it,” O’Sullivan told NZ Racing Desk. “We did have a bit of an issue afterwards, with a spike in temperature but that was only for a short time. “He was hand-walked for two or three days but missed no fast work and he’s eating well and bright and happy now. “There’s always a bit of caution with a horse coming back from something like that but looking at him, we’ve got no real concerns. The five-year-old is 32nd in the order of entry for the 24-horse Melbourne Cup on November 6 so the prospects of a start are bright. “He’s 32, not too far away from getting a start and with the natural attrition between now and then, there’s every chance he’d make the field,” O’Sullivan said. “He’s proven he can run two miles and there’s the attraction for everyone of having a runner in the big race.